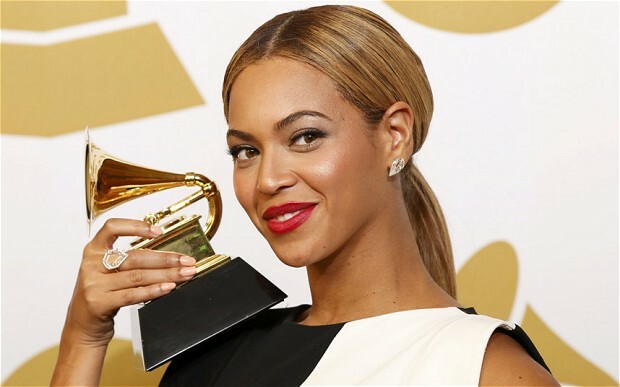 The 57th annual Grammy awards is finally here! So that you can get a feel of what to expect we have the sitting arrangements which have been released ahead of the award show. 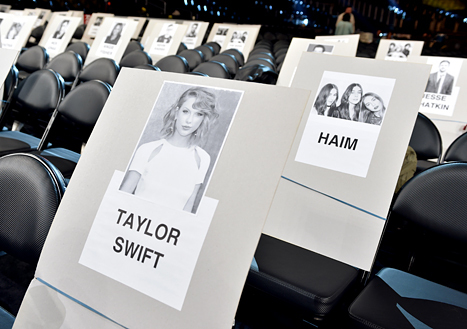 Taylor swift has landed herself a front row seat, The band Haim, which consists of sisters Este, Danielle, and Alana, will be seated directly behind her. (The trio are headed on tour with Swift this summer). 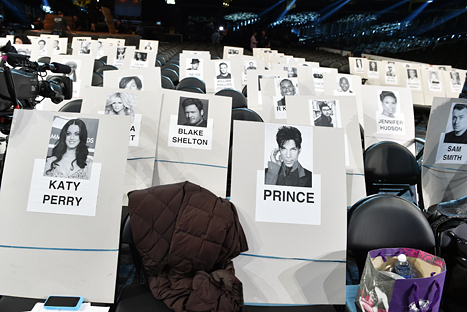 Katty Perry will also be in front row with Prince, their other seat neighbors include Sam Smith, Jennifer Hudson, and Ryan Adams. 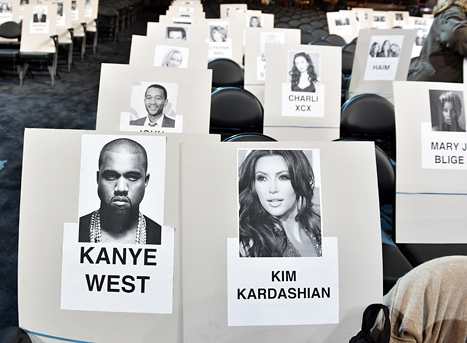 Kanye West and Kim Kardashian are set to sit in front of Chrissy Teigen’s husband John Legend. The couple’s seat buddies include Mary J. Blige, and newcomer Charli XCX. 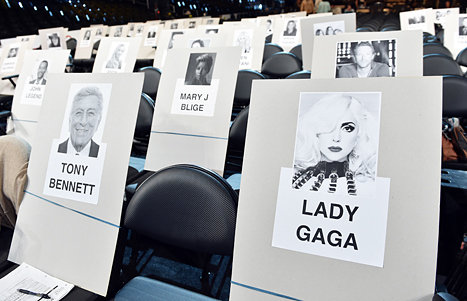 Tony Bennett, Lady Gaga, and Chris Martin are a few seats down. 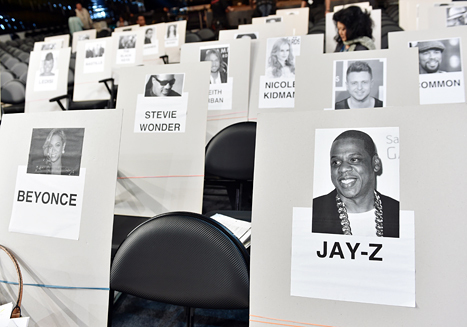 Beyonce and husband Jay Z will be sitted on the same row with Keith Urban, Nicole Kidman, Stevie Wonder, Ryan Tedder, and Annie Lennox. Adam Levine and supermodel wife Behati Prinsloo will sit beside his fellow Voice judge Gwen Stefani. 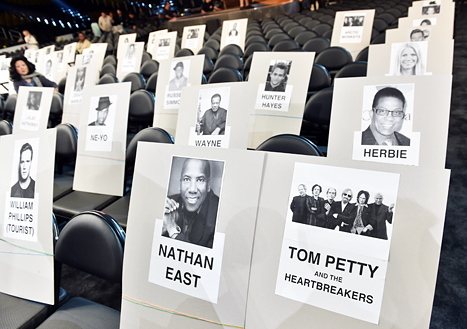 Chris Brown and Usher are close to Dierks Bentley, and Hunter Hayes will be near Gwyneth Paltrow. The 2015 Grammy Awards will be hosted by LL Cool J and air live at 8 p.m. EST on CBS today February 8 2015.